NEW PRICE WILL RELINE THE POOL! PENNFIELD MULTI-LEVEL WITH 2 FIREPLACES, LOTS OF LIVING SPACE, AND A POOL! 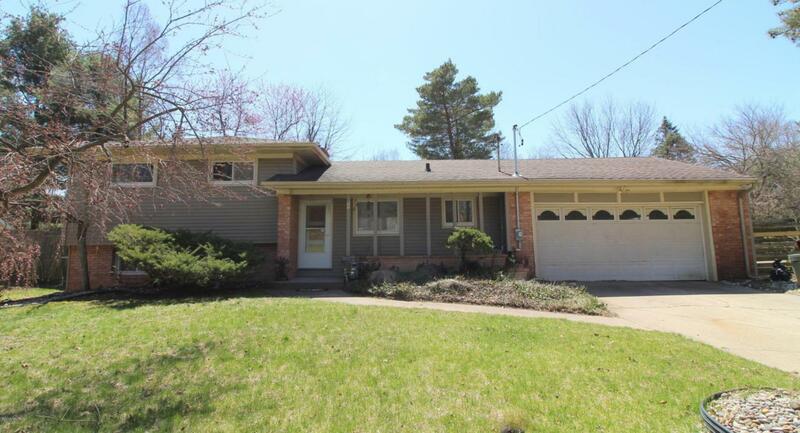 This multi-level home offers fresh paint and floor coverings, 3 bedrooms, 2 full baths, hardwood floors, a spacious living room with big, south-facing windows, and a family room with a walkout straight to the enclosed pool area. Woods Pool has provided an estimate to reline and refurbish the pool, and at this price, seller will escrow funds at closing to complete the work. Furnace and electrical updated in 2017, and roof shingles are only about 8 years old. The home sits on a quiet, low-traffic side street in an attractive and easily-accessible Pennfield neighborhood. Please call us to schedule your visit. Listing provided courtesy of Talia M Champlin of Re/Max Perrett Associates. © 2019 MichRIC, LLC. All rights reserved. Information deemed reliable but not guaranteed.